When you borrow money to buy a home, the lender requires that you purchase insurance to protect their interests. Unfortunately, many people who must buy homeowners insurance never really understand all of its features or how they could save money on premiums. 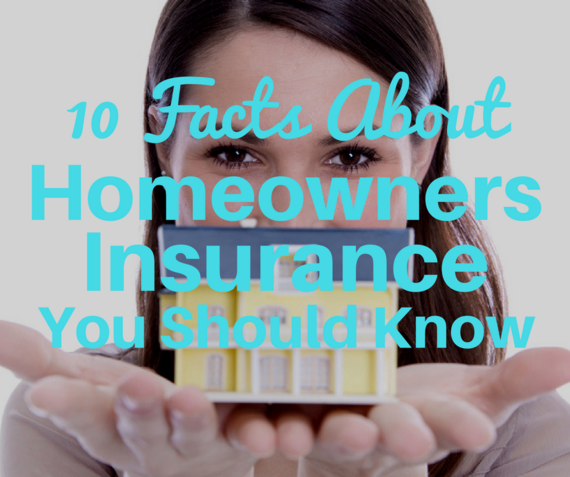 In this post I'll cover 10 facts you should know about home insurance so you get the most out of it and pay less. In addition to meeting your mortgage requirements, having a comprehensive homeowners policy is a smart way to protect your financial future. You probably know that it pays to repair or rebuild your home after a disaster. In addition, there are lesser-known coverages it includes, such as additional living expenses or ALE, which pays a certain amount of lodging and meals when you're forced to move out of your home while repairs are made after a covered disaster. Plus, you should have liability coverage to stay safe from a lawsuit if someone gets hurt on your property or you injure someone or their property in or outside of your home. 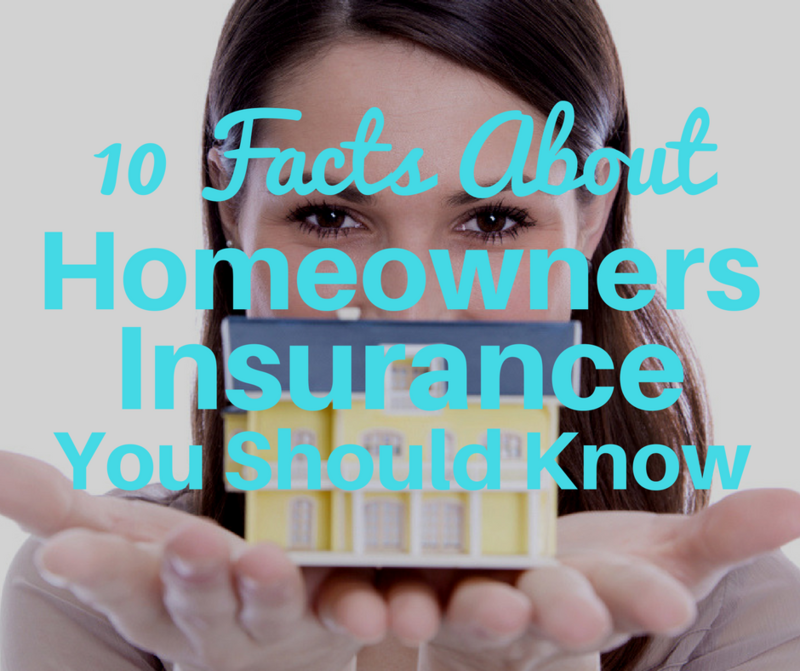 However, unlike with auto insurance, there's no law that says you have to purchase any amount of home insurance. So once your mortgage is paid off you can drop coverage if you like, but I generally don't recommend it. The most popular homeowners policy is called HO-3 and it gives you open perils coverage. That's industry jargon which means it protects you against all disasters, except any that are specifically excluded in the policy. Theft, fire, and tornadoes are examples of perils. An HO-3 policy also insures your personal belongings, but it only gives you named perils coverage for them. That means you're only covered for disasters listed or specifically named in the policy. So If something happens to your personal property--such as your furniture, clothes, or TV--and the peril that caused the damage isn't listed in the policy, you're out of luck. There's another type of homeowners policy called HO-5, which gives you open perils coverage for both your home's structure and your personal property. It typically costs more and may not be offered by every insurer, but could be worth it if you have many valuable possessions. Condo or co-op owners need an HO-6 policy, which covers the structural parts of the building that you own against named disasters, including your belongings and personal liability. Cash value coverage - pays to repair or replace your property or possessions up to the policy limits, less a deduction for depreciation. It's sometimes called market value coverage. This is the least expensive option, however, it means you probably won't get a payout that's enough to rebuild your home or replace personal items after a serious disaster. Replacement cost coverage - pays to repair or replace your property or possessions up to the policy limits, without a deduction for depreciation. This costs more than cash value coverage, but means you could fully replace what you lost. When you have an HO-5 policy, this is the typical coverage amount. Guaranteed or extended replacement cost coverage - gives you the highest protection because it pays the cost to replace your home as it was before a disaster, even if it's higher than the policy limit. Some companies extend the benefit to a certain percentage over the limit, such as 25%. When setting your homeowners coverage limits, remember that the price you pay for a home includes the land, which is never insurable. You only need insurance to rebuild or repair damage to your home's structure and outbuildings. If you include the value of land in your home insurance, you'll end up paying an unnecessarily high premium. While a standard homeowners insurance policy gives you many protections, such as coverage for the structure of your home, your personal belongings, loss of use, and liability, it doesn't cover everything. Policies often state that for something to be covered, it must be "sudden and accidental." That means if you've had a leaky faucet that caused damage over many months, it probably won't be covered because you neglected proper maintenance. However, even if they are sudden, certain natural disasters are never covered in a standard home policy, such as floods from ground water and earthquakes. You can add earthquake coverage to an existing home or renters policy. But flood insurance must be purchased separately. You can learn more at floodsmart.gov. Windstorms, including tornados and hurricanes, are typically covered. However, in some high risk areas you may have separate deductibles for damage caused by these disasters. Unlike a typical homeowners deductible of $500 or $1,000, hurricane deductibles are usually 1% to 5% of a property's insured value. For instance, if you have dwelling coverage of $200,000 and a 5% hurricane deductible, you'd pay the first $10,000 of damages. Other types of perils that may not be covered, unless you add them to a standard home policy are mold and sewer backups. If you have a home-based business--with customers who come into your home, special equipment, or inventory--it typically isn't covered and requires a separate commercial insurance policy. You'll also need a different type of policy if you turn your home into a rental or vacation property. It's good to know that your valuable personal possessions are insured against disasters and theft under a homeowners policy. But what many people don't realize is that certain types of items come with coverage limits or caps. For instance, jewelry, watches, furs, silverware, electronics, and firearms are typically limited to one or two thousand dollars of coverage. If you have jewelry worth $10,000 that's lost or stolen, you'll come up very short. Another protection you get with home insurance is that your belongings are covered outside of your home. If your laptop is stolen from your car, auto insurance won't cover it--but your homeowners or renters policy will. Perhaps you lose a diamond from your wedding ring, have luggage stolen on vacation, or have items in a storage unit damaged. You're generally covered. However, the payment for off-premises claims is typically a small percentage, such as 10% of your coverage limit. So pay close attention to the homeowners insurance limits on your possessions inside and outside of your home and consider adding a rider or endorsement to beef up your policy when needed for valuable items. Insurance companies want to make sure your property is in good shape so deferred maintenance doesn't make your home unsafe or more vulnerable to damage. Additionally, if they find that damage occurred because you neglected to maintain your home, they can deny a claim. So keep your trees trimmed, have regular roof inspections, and watch for any signs of leaks. If you ever see unusual spikes in your water bill that may indicate that you have a plumbing leak inside or outside of your home that should be located and repaired right away. If you're a regular Money Girl reader or podcast listener, you already know that your credit history reaches its tentacles far into your financial life. Not only does it play a role in the interest rate you pay for credit accounts and whether you can rent an apartment, but it also affects your insurance premiums. A 2015 insuranceQuotes study found that if you have fair or median credit, you pay 32% more on average nationwide for home insurance than someone with excellent credit. But if you have poor credit, your premium doubles and you'll pay 100% more! See also: Credit Score Survival Kit - a free tutorial to build excellent credit! If you love your dog as much as I love mine, you may be surprised to know that your furry friend could cause problems with your home insurance. 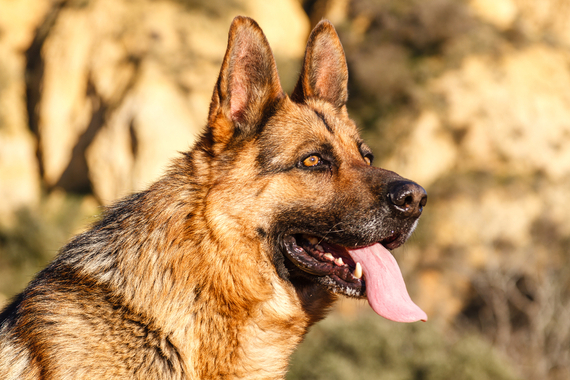 Since coverage typically includes liability for all members of your household, including your pets, insurers are particular about which dog breeds they'll insure. The average cost of a dog bite is $30,000, and they make up a third of all liability claims. If your dog is blacklisted, consider buying a separate, inexpensive umbrella liability policy. You could get a $1 million of coverage for less than about $300 per year. Insurance is one of the only products you buy that you hope you'll never have to use. Not only is repairing damage to your home a real hassle, but you may not realize that simply making an insurance claim can cause your rate to skyrocket for years! Insurance companies have statistics showing that after making one home insurance claim, you're more likely to make a second and third one. So the company typically adjusts the cost of your coverage to compensate for that future potential risk. Depending on where you live and type of claim you make, such as property damage or liability, your annual premium could increase 9% on average nationwide after making just one claim. Insurers track your claims history using shared databases, such as the Comprehensive Loss Underwriting Exchange (CLUE). It maintains all insurance claims you've made for your home and vehicle for up to 7 years. What's interesting about claims history on a home is that even the prior owners' insurance claims made over the previous 7 years, can affect the homeowner insurance rate that you have to pay. While that may seem unfair, an insurer views a property with multiple claims as a higher risk for having more claims in the future and may charge you more. But what's even more surprising to many is that simply talking to an insurance company or agent about specific damage to your home can result in higher rates. In most states, insurers can make a notation in your CLUE report if you simply inquire about damage that's occurred. You can view your auto and home CLUE reports at LexisNexis for free every 12 months. Just like with your credit report, you should review it carefully and dispute any errors right away. The bottom line is that to save money, carefully weigh whether making a claim is in your best financial interest over the long run. Never make small, frivolous claims. Only file a home insurance claim when it's absolutely necessary. When you do need to file a claim for major damage, don't wait too long. Many policies include a 14-day reporting window to make sure that damage doesn't get worse over time. If you miss the claim deadline, you could be out of luck and have to pay repairs out of your own pocket. If there's a disaster, the last thing you want is to have a claim denied because you don't have good records. Document what you own by creating a home inventory that lists your personal belongings and what you paid for them or their appraised value, then store it in a safe place or online. Use your smart phone to take video of each room and the contents of closets and cabinet. That would help you remember everything if your home was completely destroyed in a fire, storm, or tornado. I mentioned that insurers set premiums based on your potential future risk. When you make home improvements or add technology that makes your home safer--like smoke detectors, alarm systems, deadbolts, and upgraded doors, windows, or roofing--you may qualify for discounts, so let your insurer know. Another smart way to save is to bundle your home or renters policy with other coverage, such as auto or life insurance, at the same company. Also consider increasing your out-of-pocket deductible (if you have enough emergency savings to cover it), because that reduces your premium. Shopping around for quotes is the best way to make sure you aren't overpaying for coverage. Use a site like insuranceQuotes or netQuote to get free home insurance quotes. 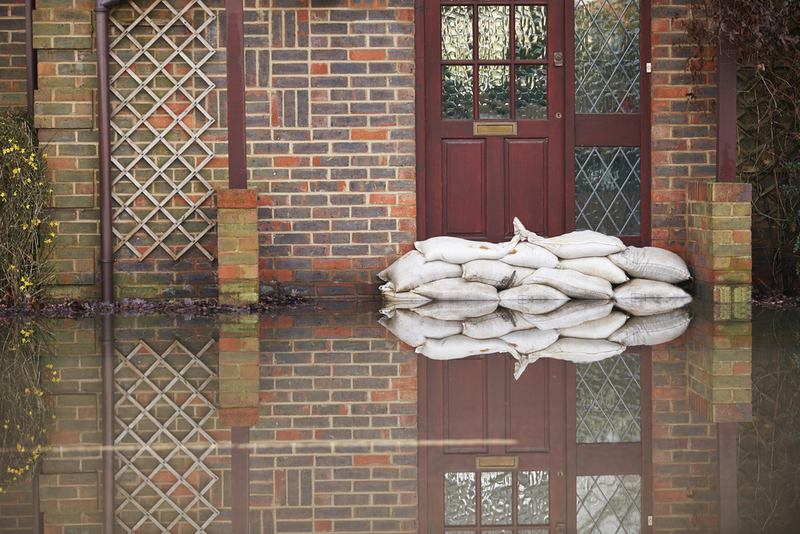 No one enjoys paying for insurance, but when disaster strikes, having a homeowners policy can be a financial lifesaver. This article was originally published on QuickAndDirtyTips.com.